Summer 2018. 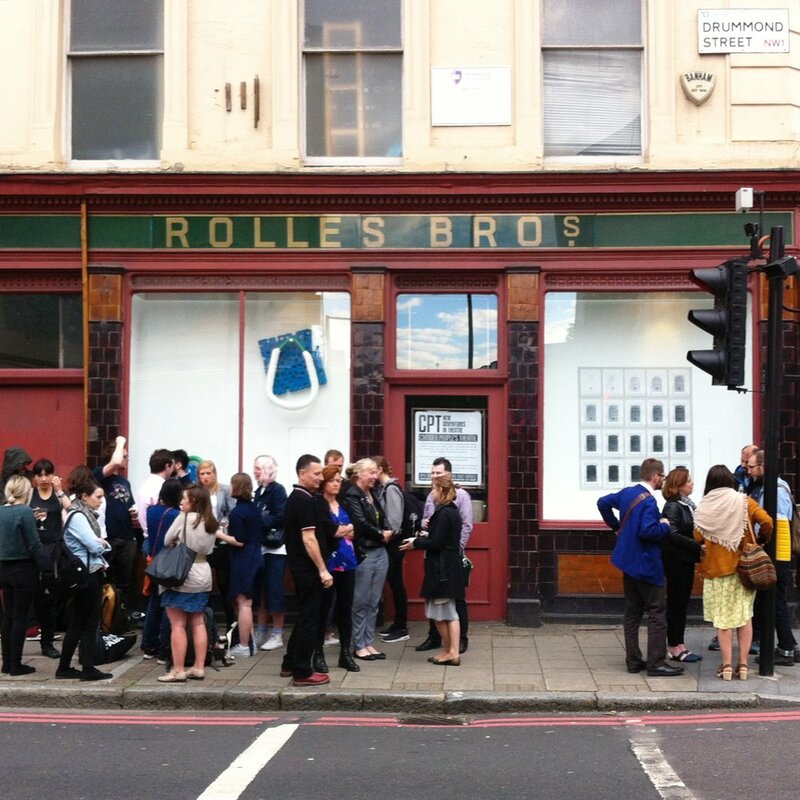 Erin hughes, ‘Floored’, Camden Peoples Theatre windows. March & April 2017. x12 painters at the Walthamstow Village Window Gallery. Image by Benjamin Deakin. Summer 2016. Oliva Bax (left) and Kasper Pincis (right), Camden Peoples Theatre windows. Summer 2016. Pavement private view for Oliva Bax (left) and Kasper Pincis (right), Brigitte Parusel and Hannah Luxton. Camden Peoples Theatre windows. Summer 2016. Brigitte Parusel (left) and Hannah Luxton (right). Camden Peoples Theatre windows. Sept 2013 - May 2015. 18 month Glass Cloud residency at MACAI Ltd, Tooley Street, London. Cecily Dryden installation view. Glass Cloud Gallery is an independent, artist run, pop up window project which collaborates with businesses to create exhibitions by some of London’s most exciting upcoming artists. It is a unique bridge which connects the public with fine art practices, providing a valuable platform for exposure to large audiences. Initiated in 2013 by artist Hannah Luxton, the project began as Footfall Art with an 18 month long residency in the office windows of Macai Construction and Interiors Ltd. 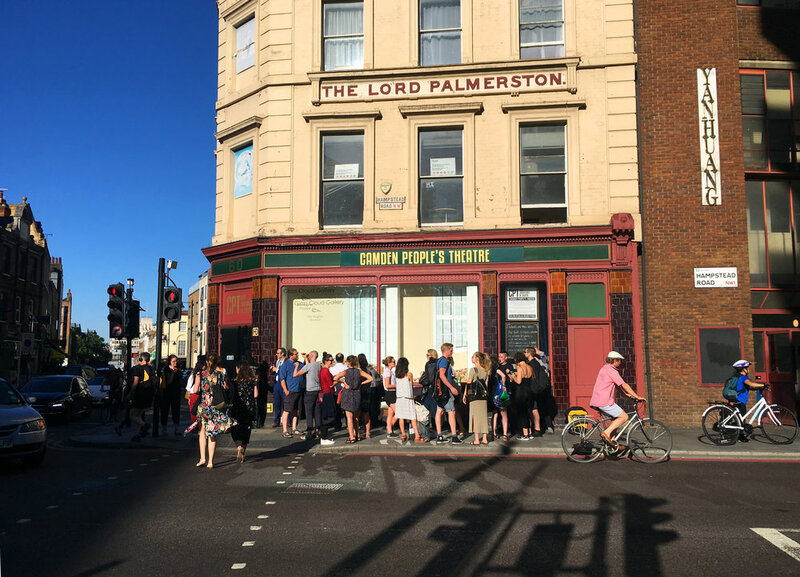 Since then Luxton has collaborated with the Walthamstow Village Window Gallery and has a regular residency with the Camden Peoples Theatre, curating yearly exhibitions. In 2018 the project re-branded into Glass Cloud Gallery, and was awarded a National Lottery project grant from the Arts Council. It looks forward to further exhibitions at the Camden Peoples Theatre, the Tin Cafe, Dalston and future collaborations yet to come.